Aloha Airlines was founded and established in 1946 by Aloha Airgroup (wholly owned), Inc. with headquarters in Honolulu, Hawaii. The American Airline carrier with 3,482 employees operates from its hub in Honolulu International Airport and has scheduled flight services to 11 destinations within the Hawaiian Islands, and between Hawaii and the West Coast of the United States. 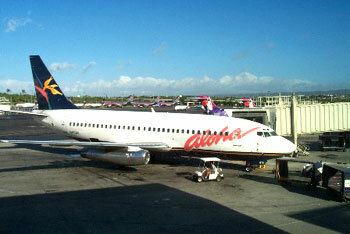 Aloha Airlines frequent flyer program is called AlohaPass and its member lounge is known as Alii Club. At present day, there are a total of three major airline companies that are powering and competing in Hawaii's passenger airline industry. 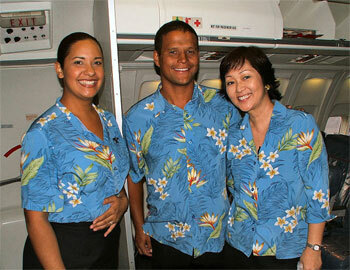 They are Hawaiian Airlines, Aloha Airlines, and go! Airlines which has caught much attention to the media. All these three airline companies are controlling the majority of interisland flights in the state.